Cold weather just calls for soup. I am a fan of hearty soups, ones that are satisfying and fill me up. 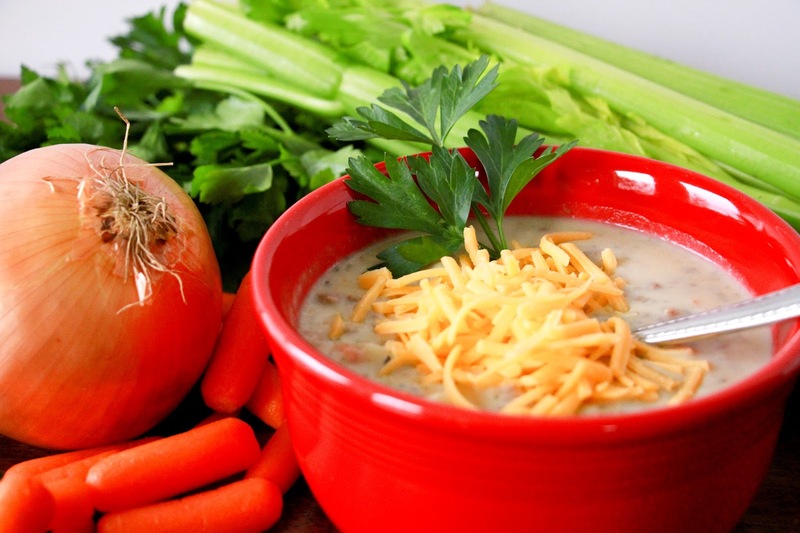 This cheeseburger soup does just that! Cheeseburgers are in my husband's top 3 favorite foods, along with crab legs and steak. He has to have one at least once a week or he starts to get the shakes. I'll admit though, sometimes I get sick of eating them. I do appreciate a good burger, but I don't have the desire to eat them quiiiiiiite so often. So, what's a girl to do? Get creative! 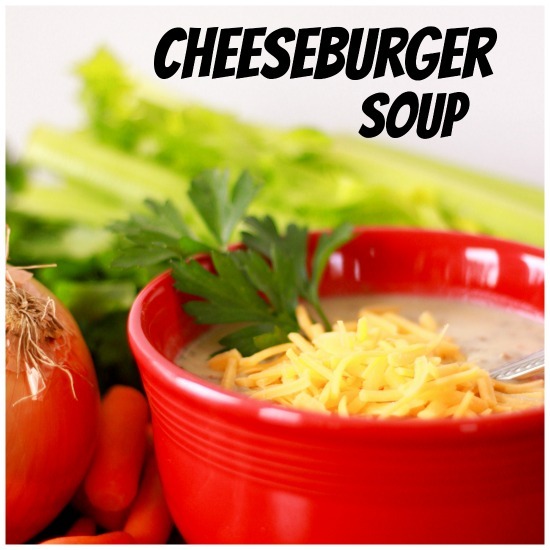 This soup may have some of the same ingredients as a standard cheeseburger, but at least it changes things up a bit! So, when it's too cold to grill outside, whip up a batch of this easy peasy soup and stay cozy warm inside. For this recipe I like to use my Instant Pot. Do you have one? It's all that and a bag of chips. No really, if you like your crock pot, you will love the Instant Pot. WHY you ask? Because you can brown your meat and cook your food all in the same pan! That's right! And, it also doubles as a pressure cooker...so you can cook brown rice in half the time it takes on the stovetop. And, green beans are super quick. There have been some really good deals out there around the holidays on Instant Pots, so check them out and then let Santa know it's on your Christmas wish list! Brown the ground beef and drain off any excess fat. Add onion, carrots, celery, parsley, basil, and chicken broth. Bring to a boil, then turn the heat down to simmer. Cover and cook on medium crockpot mode for 4 hours, or low for 8 hours. About 30 minutes before you are ready to eat, add the chopped potatoes. While the potatoes are cooking, add the butter to a small saucepan over medium heat. Once melted, whisk in the flour and cook, constantly whisking, for about 3 minutes until bubbly, but not brown. Slowly add the milk, continuing to whisk. Add milk mixture to the soup and stir to combine. Add cheese, salt, and pepper, stir until cheese melts. Remove from heat and stir in sour cream. Top with extra shredded cheese and cilantro if desired! In a large skillet, brown the ground beef, drain and set aside. In the same skillet add the onion, carrots, celery, parsley, and basil, along with about 1 Tbs olive oil or butter. Sauté until veggies are cooked. Add the chicken broth, cooked beef, and potatoes, bring to a boil, then turn the heat down to low and simmer 10-15 minutes. Melt 3 Tbs butter in a small saucepan, then add flour. Whisk over med heat for 3 minutes until cooked, but not brown. Slowly add milk, constantly whisking. Add milk mixture to the simmering soup. Add cheese, salt, and pepper and stir until cheese melts. Remove from heat and stir in sour cream. Top with additional cheese and cilantro if desired!